gosh, what happen to you people. I think Meilin is a cute character, not that I don't like S&S together. It will be a little blank if there are only two people. beautiful! 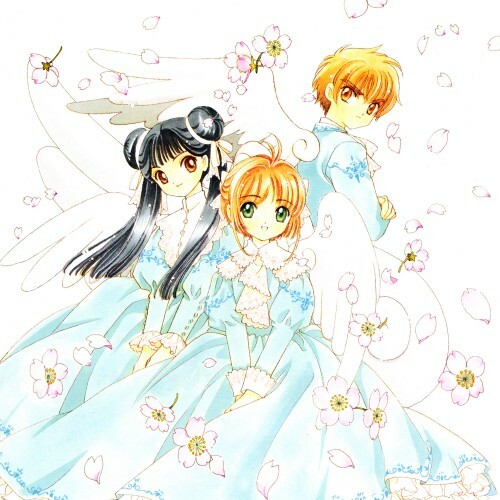 i really love them in CCS. Wow... It's soo kawaii! If only it's only S+S.. I must agree with oldvinci, Meilin is very pretty girl and i am glad, that she is on this picture too. Whoooaaaa...Meilin drawn manga style! This is really interesting to see since Meilin wasn't in the manga at all. Meiling-chan cute , too >"< ! amazing group image. I love it! thank you. oo....pretty! lovely outfits! and you rarely see Mei in them! This is lovely, and I've never seen it before. Thanks for sharing. awwwww they're all so cute! I have always loved the art from Card Captor Sakura. Thanks so much for sharing! These are really cute pics! ...they look terribly cute!....love triangle eh..